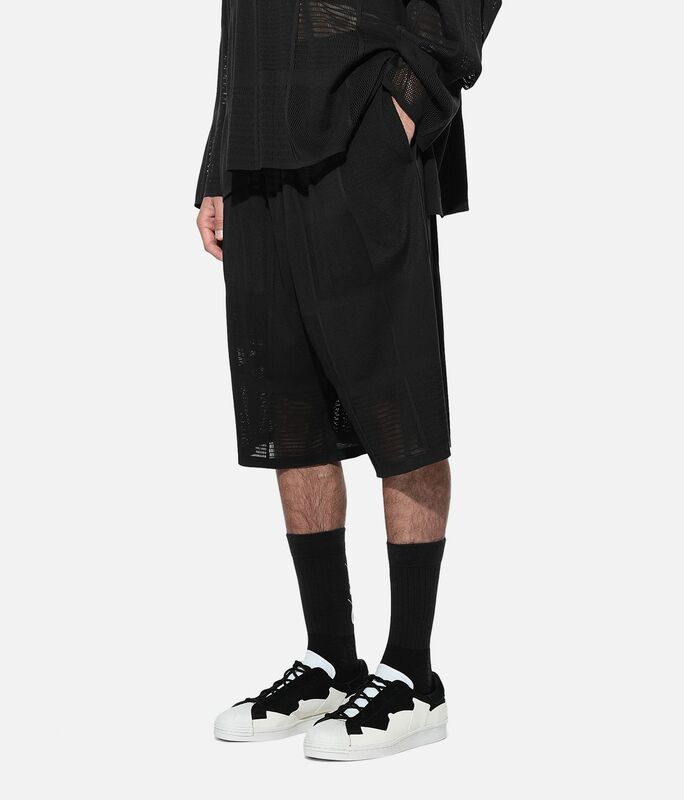 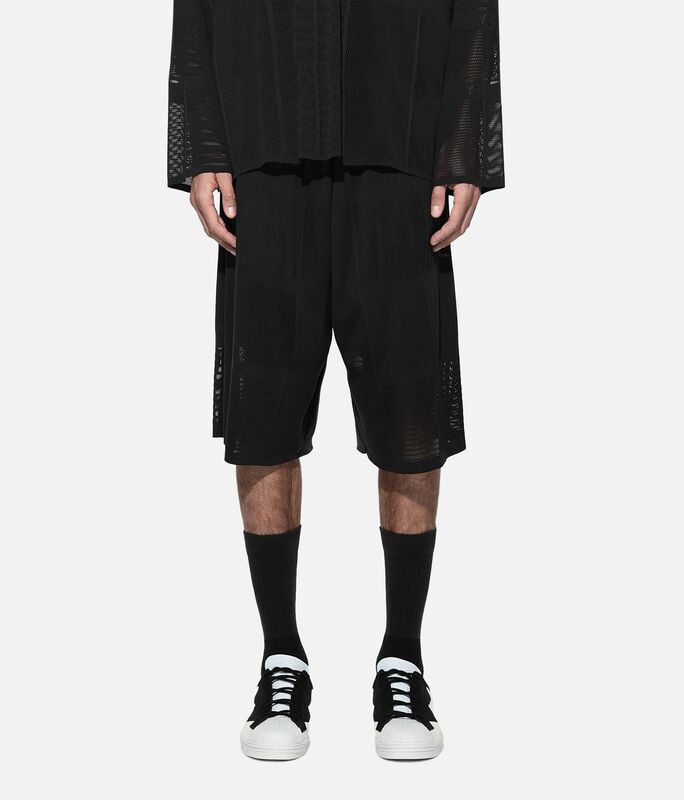 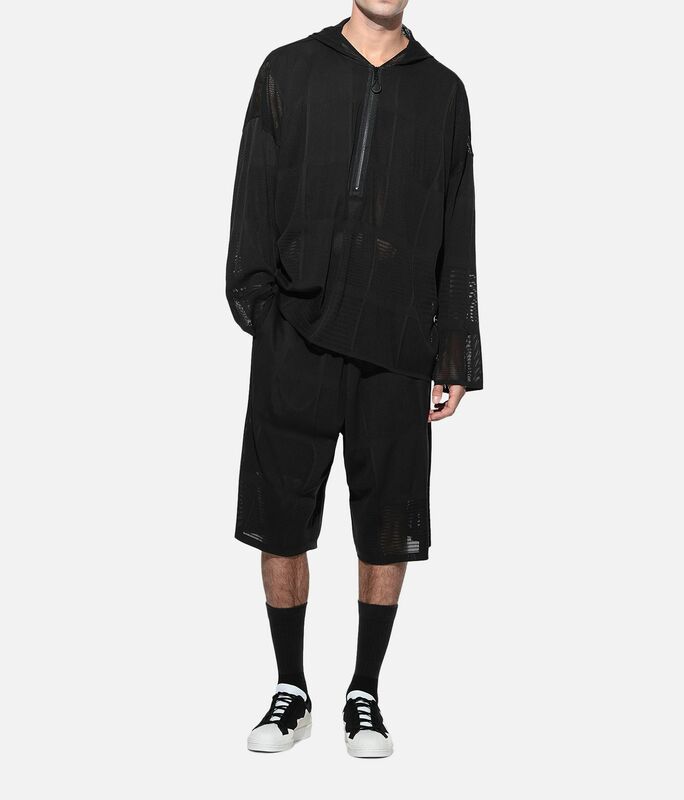 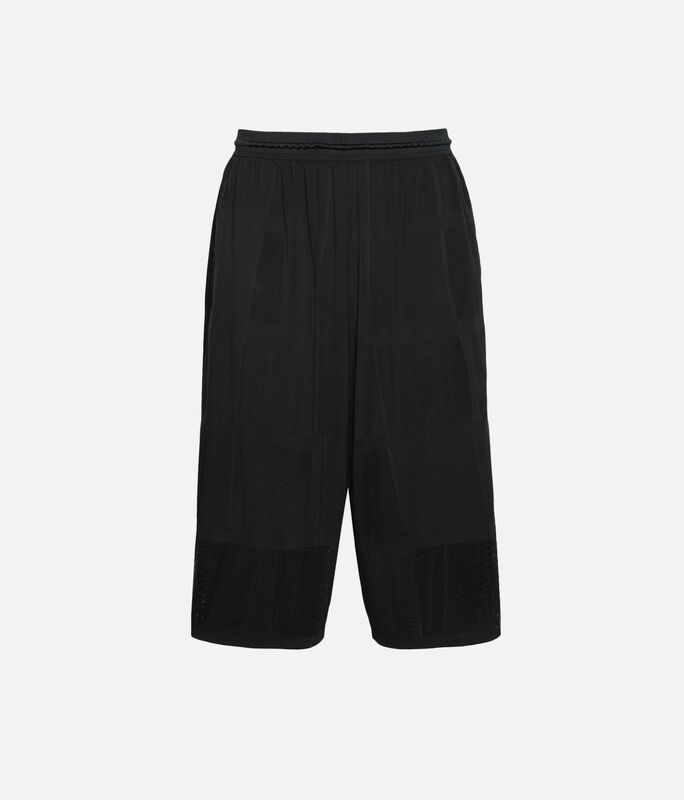 Y-3 continues to encourage personal expression of style with the Patchwork Mesh Shorts. 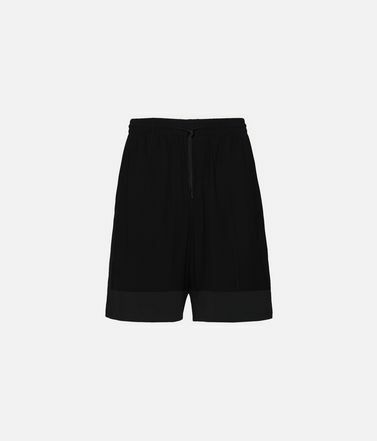 Crafted with a slight stretch, the drop crotch shorts are made of a mix of knit patches of different densities. 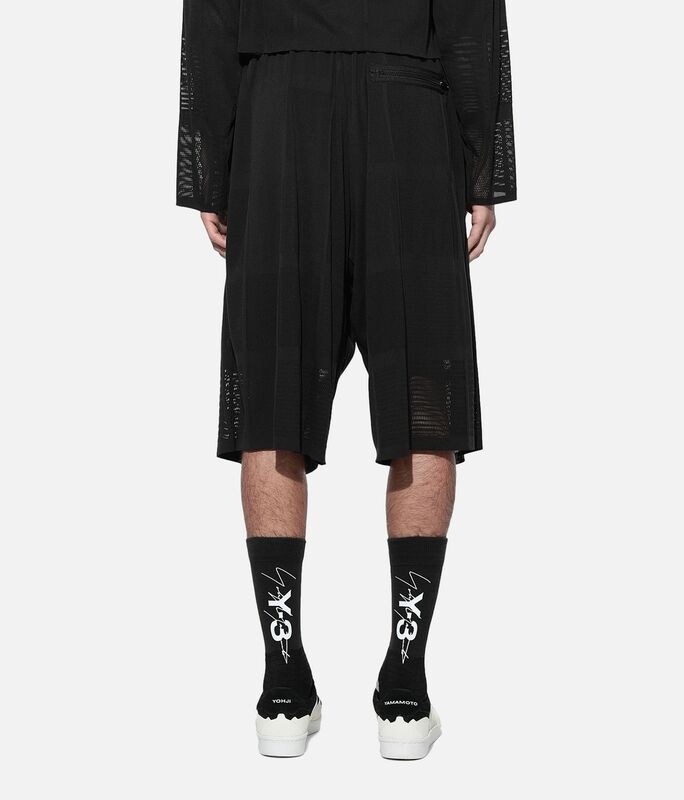 Raw edge details on the cuffs complete the look. 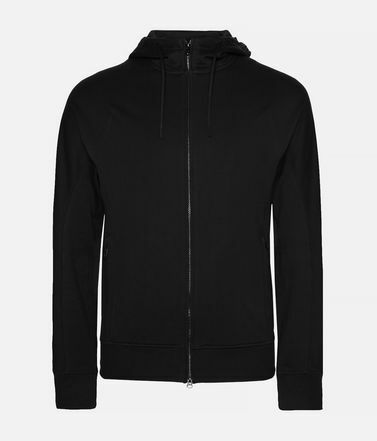 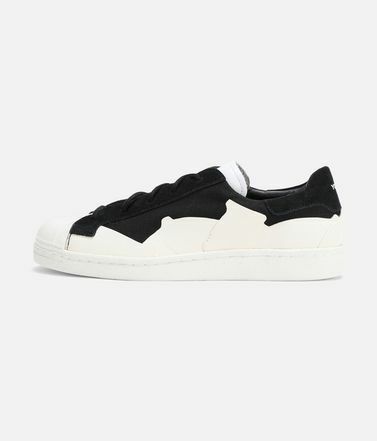 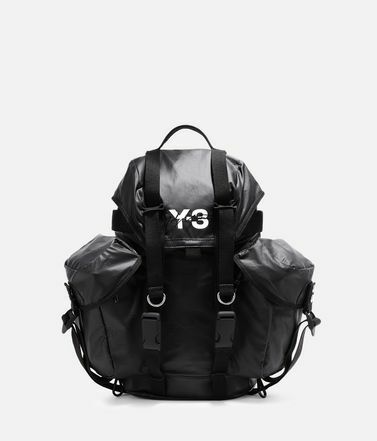 Side pockets; Back zip pocket.Drawcord-adjustable waist.Raw-edge cuffs.Drop crotch.Y-3 logo on back.Care instructions: Gentle machine wash cold, iron low, do not iron print.36 cm inseam (size M).Loose fit.45% polyester / 45% nylon / 10% elastane knit.